Welcome to Hong Kong, the magical city of the Dragon never stops! 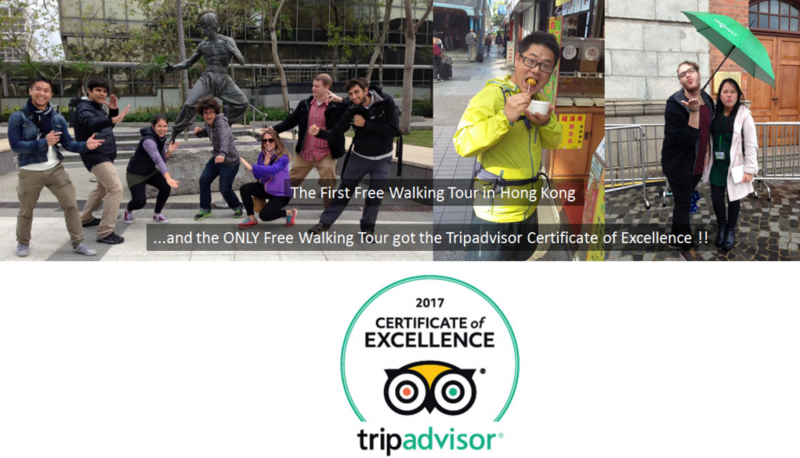 Since everything is so concentrated, following our Ambassadors in the Free Walk is the perfect way to explore and plan the rest of your journey in Hong Kong. Our FREE Walk works on a TIPS-ONLY basis, so the quality is guaranteed! You are not pressured to pay and our ambassadors will try our best to provide an informative and entertaining Walk. It’s up to you to decide how much the Walk is worth based on your budget. Please click for more details! When there is a typhoon or a heavy rain, please see our updates on Facebook. And if you have any enquiries, please feel free to drop a message on our Facebook page and we will reply ASAP! Please reserve online so that we know you are coming and make sure we won’t miss you. Or just show up 10 minutes earlier at the meeting point if you are not sure about your schedule. Need a handy map of the REAL HK? Download at the link below !